The people of Seychelles are known as Seychellois. There are a number of ethnic races in the Seychelles, most of which come from Africa. There are also significant numbers of Arabs, Indians, French, and Chinese. Others are Polynesian, Indian, and Arcadian. The Seychellois are a beautiful and unique combination of British, Chinese, French, Indian, and African blood. The Seychellois lead simple lives in an earthly paradise. The main languages are Creole, French, and English. When you meet someone in the Seychelles for the first time, it is customary to shake hands. The Seychellois are friendly and often invite newcomers to their houses openly. When visiting someone’s home in the Seychelles, it is the custom to bring a small gift. Because the Seychelles consist of over 100 islands and only has a population of around 83,000, it has the distinction of being the least crowded country in the world. Population growth in the Seychelles is low, but the average age is quite young. Half the population is under 25. Nearly 70% of the inhabitants of the Seychelles live on Mahe, which is the largest island. Life expectancy in the Seychelles is about 72 years. Though the Seychellois population is made up of many different ethnic groups, the people get along in harmony and are proud of their republic. The life on the Seychelles is casual, peaceful, and spiritual. Some 90% of Seychellois are Catholic. Other religions include Protestant Christians, Muslims, and Hindu. Most people are quite friendly and are glad to have any reason to have a party. 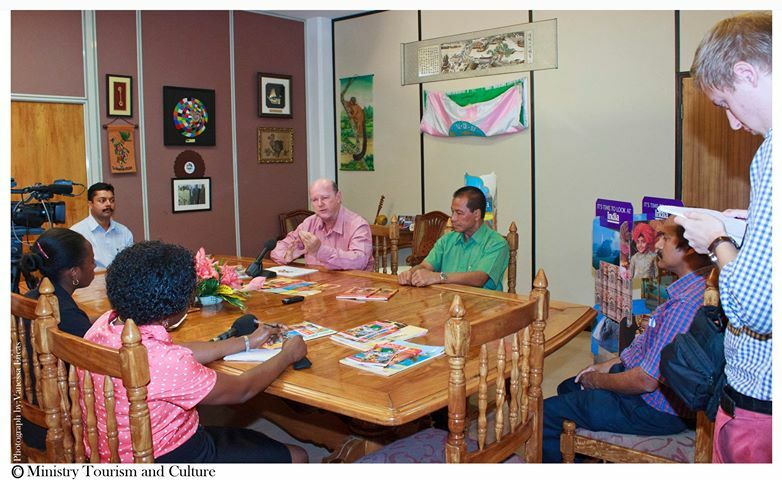 Music plays an important part of the Seychellois culture. The music is influenced by Polynesian, Arcadian, and Indian music. 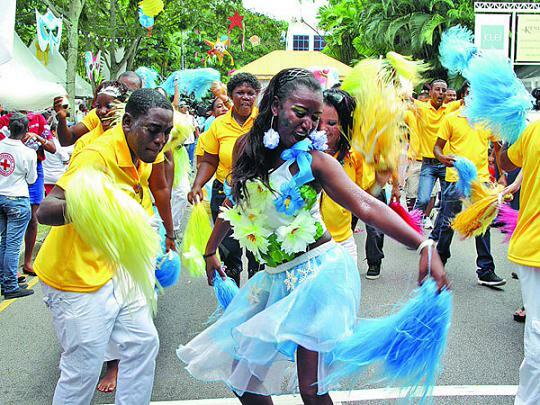 The two main types of folk music in the Seychelles are the Montea and the Contombley, based on music, and drums respectively. Singing and dancing are important facets of life here. After all, if you lived in this earthly paradise, wouldn’t you feel like singing and dancing? Sports like football, boxing, and volleyball are popular sports. Though there is no culture indigenous to the Seychelles, many influences from African origins have remained for centuries now. The government created a National School of Music and a National Cultural Troupe to encourage growth and tradition. You can partake of the wonderful Seychellois culture simply by visiting, dining, dancing, and having a great time. You will find in the Seychelles a lot of shops selling souvenirs and gifts such as local hand crafts, ornaments, and jewelry, many of which are prepared with snail shells. As nightlife goes, the Seychelles are rather quiet, though there are some local music venues and dance performances. Also, some of the larger hotels hold dinner dances and barbecues. In most hotels, men are asked to wear long trousers rather than shorts, but that is about as “formal” as life gets in the Seychelles. French and African influences are very noticeable in the Seychelles. There are three kinds of music that are associated with the local culture: the sega, which has strong African influence, moutia, a style that originated in slaves, and contredanse, a style of music and dance with French and British origins. Of the contemporary artists, Adams Michael is thought of as the “Gaugin of the Seychelles.” There are also many other artists who live in the Seychelles, including Leon Radegonde, Gerard Devoud, Marc Duc, and George Camille.